Ugh I hate Arnold now.. I mean Eraser is probably my favorite of his, but I just dislike him now. Mine are probably the first 2 Terminators with True Lies probably number 3. But I do agree, at his age and after the whole "governator" thing, it's time for him to move on. His reputation has definitely been tarnished by the scandal, but I'm willing to give his on screen persona another chance, much in the same way that I still find Tom Cruise's work extremely entertaining despite the off screen issues that he tends to get himself into from time to time. For the 'Assassins Creed' movie, they now have a scriptwriter on board...steadily moving forward....! Yeah I mean the fact that he cheated on his wife.. no respect for this guy.. I mean he had a great movie career but there is no way that I would ever pay 9 dollars to see him in another movie ever again. I don't care for what celebrity's do offscreen, I could really care less. I'm just paying money to see them in a film and be entertained. He cheated on his wife, millions of men around the world have cheated on their wife and have done the things he's done as well. Just because he has personal issues offscreen doesn't mean it's going affect me, I'm still going to see his films. Like Tom Cruise, yes he's a bit weird with his Scientology and him jumping on couches and other issues and whatnot, but it didn't stop me from seeing 'Jack Reacher' and it won't this year with 'Oblivion'. Arnold is a pig and even a worst Politician. He should have never got into it and continued his career in film. Politicians and celebrities, like it or not are role models. But how many Politicians have cheated? Don't get me wrong, I have no respect for Arnold either, and for the exact same reason that you don't. I refuse to talk and/or share my political views, but again, I don't care what they do offscreen. I literally could care less. That's their business, not mine. Are you serious? How much time do you have? Well it's not only that he cheated on his wife, I just think this movie looks stupid. The plot does not interest me whatsoever. Fair enough. I'm not really interested in Arnold anymore unless he does another Terminator or Predator, I'll probably see The Tomb and The Expendables. Unless a new Terminator film stars Christian Bale as John Connor, I'm not interested. And I want a sequel to 'Predators', because that film was just fantastic. As for a sequel to Hot Tub Time Machine, great news. I'd really like Bale to return as Conner as well, I'd like them to finish the series in one or two films and tie up the lose ends. PREDATORS was great, I could see Arnold being one of the people on the planet in a sequel who happens to survive. I have never seen Predator the whole thing, I have seen parts though. 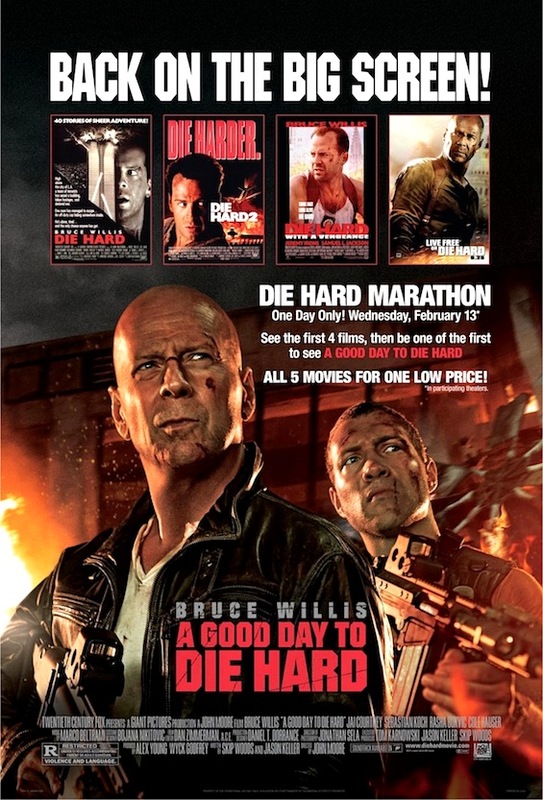 Haha Die Hard marathon, my mom wants to see that but I am not sure if I am completely sold on this movie. I doubt Bale would return. When was the last time we had the same actor playing John Connor? That's right, NEVER. Thunder Buddies Reunite!! TED 2 Is In The Works!! Two pictures there of the two flilms this year that least excite me...! 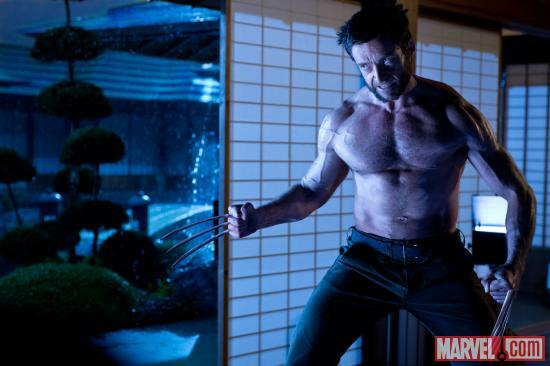 Could care less for 'Iron Man 3', but I appreciate Hugh Jackman's love and appreciation for the fans of Wolverine and X-Men and for wanting to stick very close to the source material this time. Can't wait for July 26th! Wolverine on my birthday! Well that's a birthday treat for you - I think he's just over-doing the Wolverine role now, there seems to be TOO much Wolverine popping up in films. Really? I must admit: Wolverine is my favorite X-Man. And after having seen Hugh Jackman in his one-man show on Broadway last year I can only say: this guy can really do anything. There hasn't been a Wolverine film since 2009, four years. He had a 30 second cameo in 'First Class' which is nothing. 'First Class' did good at the box office, but nothing compared to what His Wolverine film made and the original trilogy made. Wolverine is my favorite as well SecretAgentFan. As long as he feels he can continue in the role and make the character come to life, Marvel and Fox won't bother Rebooting the character any time soon. The character and the actor have a strong following. I know, I appreciate his following, I just feel he's the poster boy of all X-Men films, and without him it's not a proper X-Men film and just feel there will be a point where his character will burn out. Guess I'm just not a fan off the continuous Wolverine hype and news. 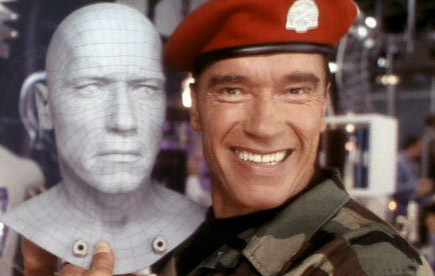 ^ Lol I'm not surprised by this at all..
Schwarzenegger Confirms He'll Be Back For TERMINATOR 5!! Thank the lord - don't know how this is going to work incorporating a 60+ action star BUT who I am to debate age, he has proved he can do anything and as long as it's more than him "appearing" in 'Terminator Salvation' by way of CGI work as a younger self, I will be chuffed to see him back in his iconic series. I know this is asking too much, But I want Christian Bale to return as John Connor.